This entry was posted in Delivrd HowTo and tagged inventory, inventory management, inventory management software, stock valuation report on March 13, 2018 by Anastasiia Myronets. 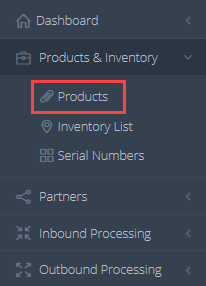 In the navigation bar, click Products & Inventory > Inventory List. In the upper-right corner of the Inventory List page, hover over the … button and choose Stock Valuation Report. And that’s it! The stock valuation report will show you the product category, available quantity, location, unit value, and total value of the product, which is unit value multiplied by quantity. Besides, Delivrd will calculate the total stock value, which is displayed in the upper-right corner of the report. It is also possible to filter the report by specific SKU number, location, or category. Finally, it is possible to export the stock valuation report. This entry was posted in Delivrd HowTo, Guides and tagged inventory, inventory alerts, inventory management, inventory management software, low inventory, reorder point, safety stock on November 21, 2017 by Anastasiia Myronets. 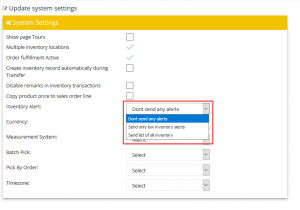 Don’t send any alerts: This is a default option that does not allow to send the inventory alerts. 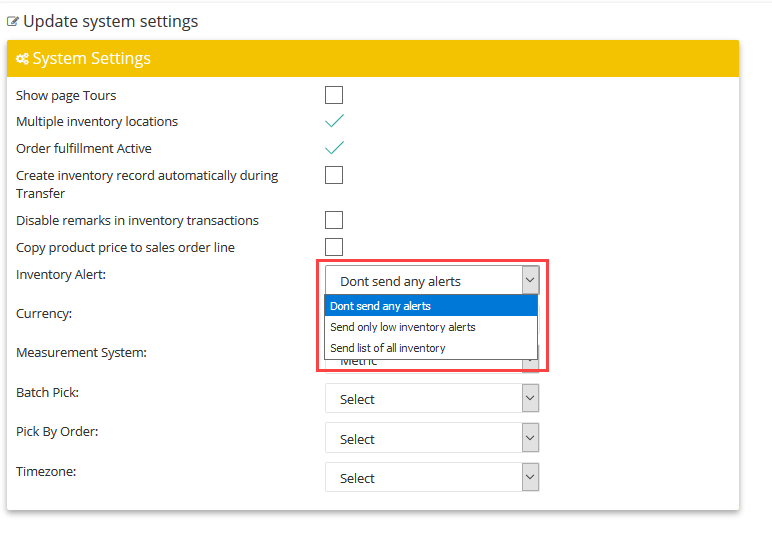 Send only low inventory alerts: Choose this option to send the alerts when the inventory quantity is below the reorder point or safety stock. Send list of all inventory: Choose this option to send inventory reports for all products, regardless if the inventory quantity is below the reorder point or safety stock. This entry was posted in Delivrd HowTo, Guides and tagged inventory, inventory management, inventory management software, products, suppliers on November 20, 2017 by Anastasiia Myronets. 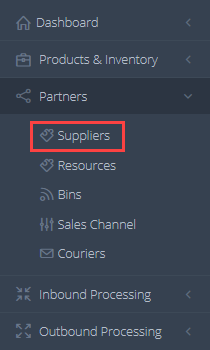 In the navigation bar on the left, click either Products & Inventory > Products or Partners > Suppliers. 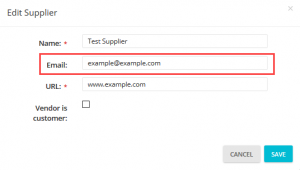 In the upper-right corner of the Products List or Suppliers page, click Actions > Products – Supplier Assignment. 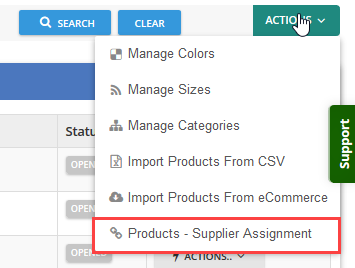 In the upper-right corner of the Product-Supplier Assignment page that opens, click New Product-Supplier. In the form that opens, select the product and supplier that you are going to connect. 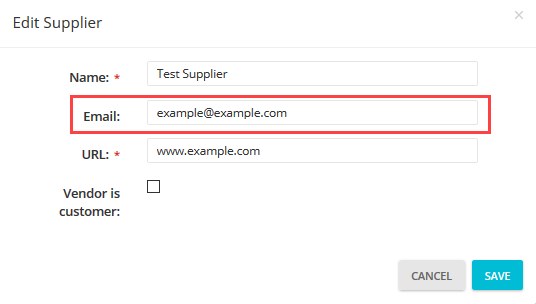 You can also optionally add the price you buy this product from the specified supplier, and select the status of assignment – either Active or Inactive. 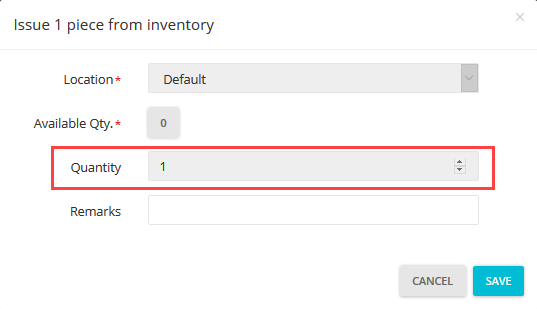 The system will reflect the product-supplier assignment in the inventory list by adding the Supplier column to the page where the product record is located. 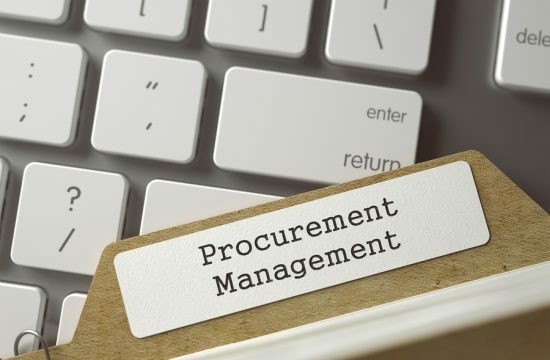 The product price will be copied to replenishment order lines that you will create with this supplier and product combination, and the system will send inventory alerts to the supplier regarding their own products – more on inventory alerts coming soon. This entry was posted in Delivrd HowTo, Guides and tagged barcode scanning, inventory, inventory management, inventory management software on September 25, 2017 by Anastasiia Myronets. With Delivrd inventory management software, you can quickly update inventory for a specific product. To do it, open the Inventory List page under Products & Inventory and scan the barcode of the product on this page. If you don’t have a barcode scanner, you can manually enter the SKU, EAN, or UPC of the product in the field above the inventory list, and then click Search. If the system finds a result, you can directly receive or issue 1 piece from inventory, or choose to receive or issue any quantity you want. You can do this with the four buttons in the Inventory Transactions column: +1, -1, Receive, or Issue. Click the corresponding button to open a window where you can enter the transaction details. For the Receive and Issue transactions, you can enter any value in the quantity field, whereas for the +1 and -1 transactions, this field is not available for editing, as quantity of transaction is 1. This entry was posted in Delivrd HowTo, Guides and tagged inventory, inventory management, inventory management software, serial numbers on September 19, 2017 by Anastasiia Myronets. In this user guide, we’ll describe how to manage the inventory of serial numbers in multiple locations, specifically, how to create, transfer, and issue serial numbers in Delivrd. Read on! In the navigation pane on the left, click Products & Inventory > Serial Numbers. In the upper-right corner of the serial number list, click New Serial. In the window that appears, choose the product for which you are creating the serial, and an inventory location for this serial. The serial will be created in this inventory location. A quantity of 1 piece will be added to inventory in this inventory location (there is no need to update the inventory separately). Note: You can scan the barcode of your serial number into the serial number field instead of typing it. In the window that appears, choose the location and add remarks, if necessary. When ready, click Save. Serial number location in serial inventory list will change to the new inventory location. 1 piece will be deducted from the previous inventory location of the serial number (North inventory location in this example), and 1 piece will be added to the destination inventory location. 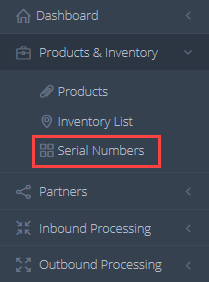 If the serial number no longer remains in any inventory location that is managed in Delivrd (for example, the serial is issued to sales order, returned to vendor, or scrapped), you can issue the serial number. After scanning the serial’s barcode label into the inventory location list search box, click Issue Serial. 2. In the window that appears, you can add a remark to record the reason for the issue. When ready, click Save. The inventory will be deducted in 1 piece. The serial will be marked as out of stock, but it will still appear in the serial numbers list. That’s how you handle the inventory of serial numbers in Delivrd inventory management software. Picking by Order vs. Batch Picking: What’s the Difference? This entry was posted in Industry and tagged batch picking, inventory, inventory control, inventory management, inventory management software, order, order picking on April 5, 2017 by Anastasiia Myronets. There are actually many ways to pick an order from a warehouse location. However, in this article we’ll focus on two picking methods: picking by order and batch picking. You may already guess the difference from the names of these activities, but let’s explain in more detail. Picking by order, or discrete picking, implies visiting a picking location individually per each order. For example, two customers order the T-shirts with the same SKU, and two different orders are created. As a result, when processing these orders, a warehouse employee should visit the picking location two times, to pick the T-shirts for two separate orders. This is the most common and straight-forward order picking method. On the contrary, batch picking combines the lines from different orders into a so-called “wave” by using the inventory management software. As a result, the warehouse employee should visit the picking location only once, and it significantly saves time. After the picks of individual products is completed, products are sorted by order, packed and shipped. Each picking method has its own advantages. Picking by order is simpler but it takes more time, whereas batch picking saves time, increases productivity, and reduces labor costs, but required two coordinated steps – pick and then sort. You should choose the picking method based on your loads and workflow. For example, batch picking is perfect for you if the same SKU with relatively small dimensions is frequently ordered from you by different customers. In other cases it’s better to use the traditional method of picking by order. Despite the fact that it requires more time to pick, it actually speeds up the response time for order fulfillment. Delivrd, the inventory management software, supports both picking methods to give the clients more convenience and flexibility. No matter how many orders you have, Delivrd will help you with any order profile. More details are coming soon! This entry was posted in Industry and tagged barcode, barcode reader, barcode scanner, inventory, inventory control, inventory management, inventory management software on December 25, 2016 by Anastasiia Myronets. If you stop and look around, you’ll probably notice that barcodes are everywhere. You can find barcode labels literally on every item that you use in your daily life, from food to gadgets. And it’s almost impossible to buy any item without a barcode. Barcodes rule the world! That’s why it’s important to understand how they work. Specifically, how they automate inventory management and thus help streamline the businesses. A “toolbox” of a modern inventory manager should include not only the inventory management software, but also hardware, such as barcode scanners. Why? Let’s find out. Value for money. A barcode reader can significantly speed up the inventory management process at your warehouse. At the same time, such a device costs not that much. It’s easier and more cost effective to buy several barcode scanners than hire a hundred people to type in those SKUs and serials. Hey, it’s the 21st century out there! Speed. The faster you manage your inventory, the more efficient is your business. With a barcode reader, speed won’t impact the quality of your inventory management – it will actually improve it. No more errors. 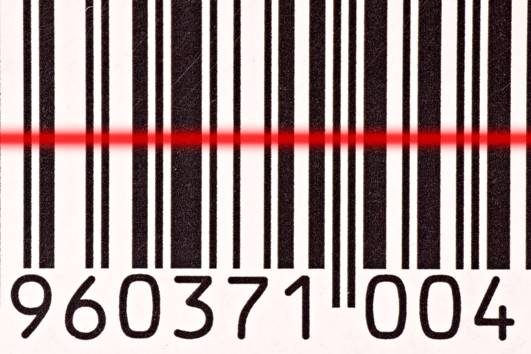 Barcode scanning reduces the “human factor” in inventory management and helps avoid mistakes, which can cost a lot. With barcode scanning, you’ll know the exact inventory numbers and avoid the low stock and overstock problems. Flexibility. There are many types of barcode readers, and you can choose the one that fits the needs of your company. 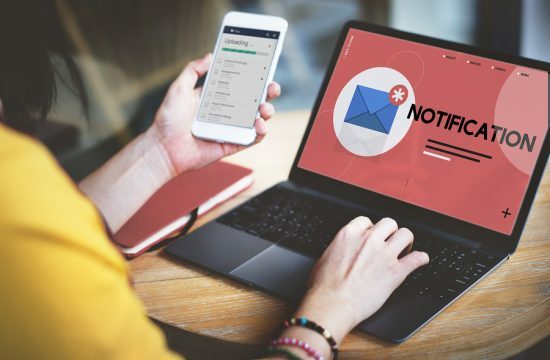 There are standalone, USB, wireless, or smart scanners with an operating system; there are pen-type, laser, or camera-based readers – you name it! Delivrd, the inventory management software, also supports barcode scanning. More details coming soon! It's only $49.99 a month! Delivrd Inventory & Fulfillment Networks Are Here!